Six months ago, downtown Spokane's iconic Steam Plant closed its doors for extensive renovations. Those doors will re-open today, Monday, January 22 - and the transformation promises to be extraordinary. The Steam Plant has been in its current mixed-use state since 2000. In 2001, it was the first historic building in Spokane to receive the prestigious National Preservation Honor Award. Seventeen years later, this latest renovation is honoring those efforts while revealing even more of the building's soul. General manager John Lockhart and executive chef Steve Leonard have joined the Steam Plant team. Lockhart has more than 25 years of experience in the hospitality industry and has operated restaurants in the Spokane area for the last 10 years; Leonard, who trained at Le Cordon Bleu Paris, served most recently as executive chef for Levy Restaurants at Wrigley Field. The new interiors, designed by Spokane firm HDG Architecture, create a bold ambience, from the oversized steel entry door to the new flooring of hexagonal tile and accented wood to the complementary wood on the ceilings above. 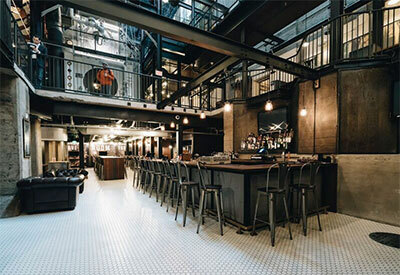 The main-level restaurant, now called Steam Plant Kitchen + Brewery, is an open design that features comfortable, tufted seating in built-in booths next to steelp-clad walls; the bar offers both large community tables and booth seating. Murals showcase the building's historic roots, while patterns of steam pipes snake through the ceiling, providing a creative way to hang lighting that washes beams and columns. The plant's boilers received a fresh coat of paint and a splash of color. The Steam Plant expanded its event capacity with the new Rooftop event space. Located on the third level of the adjacent Seehorn building, this new space can accommodate up to 150 people, and offers a unique view of the plant's smokestacks and the Spokane skyline. The enlarged kitchen includes a wood-fired pizza oven, rotisserie, char-broiler and smoker. The menu has been recreated with a focus on handcrafted, authentic foods - and brings back lunch service for the first time in 10 years. Specialties include house-smoked salmon carbonara, a rotisserie porchetta sandwich and a 'wood-kissed Caesar' with grilled romaine, along with generous-pour signature cocktails and a regional wine list. The brewery has continued to create craft brews: a variety of permanent taps, inventive seasonals and barrel-aged limited releases. Along with the physical transformation - carried out by Vandervert Construction, Associated Construction, Bouten Construction, and Synergy Restaurant Consultants - the Steam Plant brand was reimagined by Spokane creative firm helveticka. The website is steamplantspokane.com and the phone number is 509-777-3900. Meg Demand, a longtime Spokane area resident, recently launched a new innovative business for the Spokane community. Demand Results, LLC is a small business partner that provides outsourced marketing services including but not limited to: philanthropic relationship management, event coordination and small business projects. Meg's vision is to help match small businesses to local non-profits in order to create sustainability in beneficial causes in the Spokane community. Meg's background includes an MBA from WSU in Executive Management and corporate experience in sales, marketing and operations. During her extensive work with non-profits she identified a need to educate small businesses on how social responsibility can both help a community while creating market opportunities. To learn more about the services that Demand Results offers, visit the website at www.demandres.com. 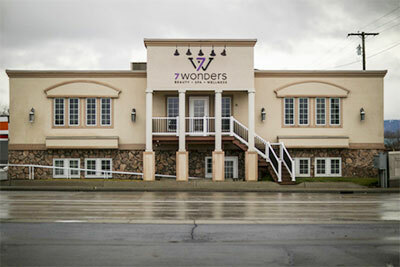 Entrepreneur Ann Cao recently purchased Evergreen Wellness Center at 10 North Evergreen in Spokane Valley and turned it into 7 Wonders Beauty. The building contains 4 different small businesses working collaboratively together. Svetlana's Salon & Spa is high-end salon offering a variety of beauty products from around the world; with the passion to make women look and feel beautiful. Kody Little Portrait is the northwest's newest boutique portrait studio specializing in weddings and contemporary women's portraits. Premier Sculpting permanently shapes your body by trimming down unwanted spots as well as enhancing other desired areas. The board-certified physician uses the latest, FDA-approved technology to achieve superior results for both fat removal and body augmentation. Ann also hosts the first and only full-service AVEDA store, salon and spa in Spokane Valley. The salon uses solely organic and non-animal tested products to strike and set an example of environmental leadership and responsibility. 7 Wonders Beauty will celebrate with a Grand Opening and Heart Awareness Fundraising event Thursday, February 1 from 3-9pm. Go to 7wondersbeauty.com or call 509-309-2603 for more details. Local and employee owned company, National Mattress was founded in 1999 by Michael O'Neill. National Mattress is committed to serving the local community through charitable donations and gifts of service through various fundraisers and functions. National Mattress carries mattresses, adjustable bases, bedroom, living room, dining room, office and outdoor furniture, sheets, pillows and mattress protectors. They offer 100% customer satisfaction, free local delivery, and financing and layaway plans. Michael ONeill is a graduate of Coeur d'Alene High School and a 30+ year veteran in the retail mattress/sleep industry. Prior to opening National Mattress, he worked as a private consultant helping facilitate the opening of more than 70 mattress stores throughout the U.S. and Canada. 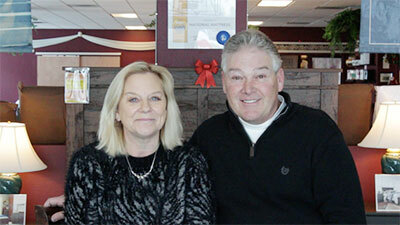 Dan LaVine joined the National Mattress team in April of 2007 and has become a valued employee. Karla ONeill joined National Mattress in 2014 and networks through social media, events, fundraisers and organizations such as Chamber of Commerce and Bozzi Media. She also maintains the website and assists in the day-to-day activities of the store. National Mattress has received the honor of being voted The Best Mattress Store in North Idaho from 2014-2017 by Spokane Coeur d'Alene Living Magazine and North Idaho's Business Journal Best Mattress Store 2017. The store is located just off Highway 95 at 6235 N. Sunshine Street in Coeur d'Alene. Learn more at their website, cdamattress.com, on facebook, and by calling 208-762-0800. Graduates of Spokane Community College's aviation maintenance, avionics and other manufacturing programs are being sought after by Boeing Manufacturing. The company is coming to campus this week seeking applicants for current openings. Boeing will be accepting applications and talking with potential new employees on Wednesday, January 24 from 10am-3pm in the Lair Student Center at SCC, 1810 N. Greene St. The aerospace giant is seeking thousands of applicants for open positions in non-management manufacturing fields. Specifically, Boeing is looking for veterans who have recently separated from the military or recent graduates of manufacturing programs, like the ones at SCC. The company is looking for people with skills in assembly, electrical, functional testing, troubleshooting and more, which are taught in SCC's program. Spokane Community College is one of the largest community colleges in the state and serves more than 20,000 students every year. SCC has provided college transfer, career-technical and adult basic educational opportunities to hundreds of thousands of students in Eastern Washington since 1963. The main campus is located in Spokane, but there are centers in Colville, Newport, Republic, Ione and Inchelium. For more information, visit SCC Facebook Boeing Application Day Event. Small Business Boot Camp is an accelerated program that enables students to take the next step in launching a small business in just eight weeks. This course prepares participants to utilize local resources available to small businesses, determine the viability of their small business plan or business idea, establish start-up costs, and find customers. To be held February 6-March 29, 2018, Tuesdays and Thursdays from 5:30-8:00pm at Spokane Community College, Bldg. 50, Rm 131. The first 20 participants pay only $250. Financial Assistance available. To register, contact Allison Armfield, 509-533-8482, allison.armfield@ccs.spokane.edu or call 509-279-6030 to enroll now. This year's Annual meeting for the West Plains Chamber of Commerce will be held Tuesday, January 30. The Breakfast will be held at Northern Quest Resort & Casino from 7-9am. The Chamber will also introduce their new Executive Director and discussing what's in store for 2018. For more information or to register, visit the website at westplainschamber.org.